Learning makes you hungry. No one likes to learn on an empty stomach. 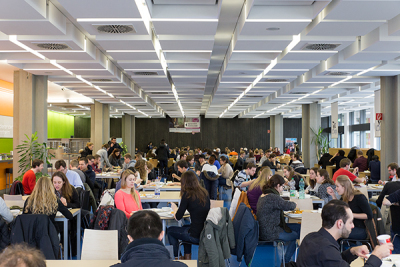 The 13 Cafeterias and Cafes of the Studierendenwerk Mannheim can help with that. 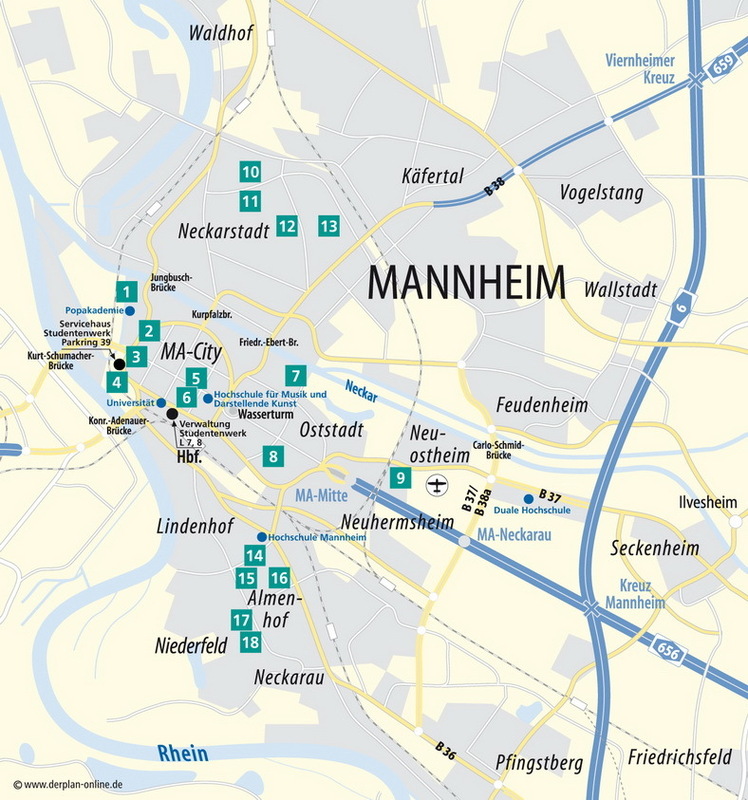 The proximity between our facilities is one the best in Germany. The Cafeterias and Cafes are the perfect place to eat breakfast or lunch or grab a snack on your way - for all students, employees and guests. Bistro EO in the Ehrenhof of the Mannheim Schloss offers a daily-inexpensive dinner as well. Fresh and delicious are two things we strive for. All of our meals are prepared with the best ingredients, many from the Mannheim region. Everything from vegetarian meals to salads, meat from our in-house butcher, Wok-dishes to our pasta-station; you can find everything at the Cafeterias and Cafes of the Studierendenwerk. Do not forget: The prices are inexpensive. Everyday there are at least two freshly-prepared meals for about 3.00 Euro as well as some additional offers. Fair prices for coffee- Elixir of the students. A cup of coffee costs for example only 1.00 Euro. The Menu can be found in the monthly-published “Iss was!”, at our website, in Apps like the StudiPlus App as well as on monitors at the various Cafeterias. The Studierendenwerk Mannheim also offers a catering service. Whether it is a wedding or large or small events. Additionally, you can rent space for 100 to 2000 people. You would like to visit or have a question- as guest, employee or vendor? "Parkhaus Bismarckstraße" or "Parkhaus Universität"